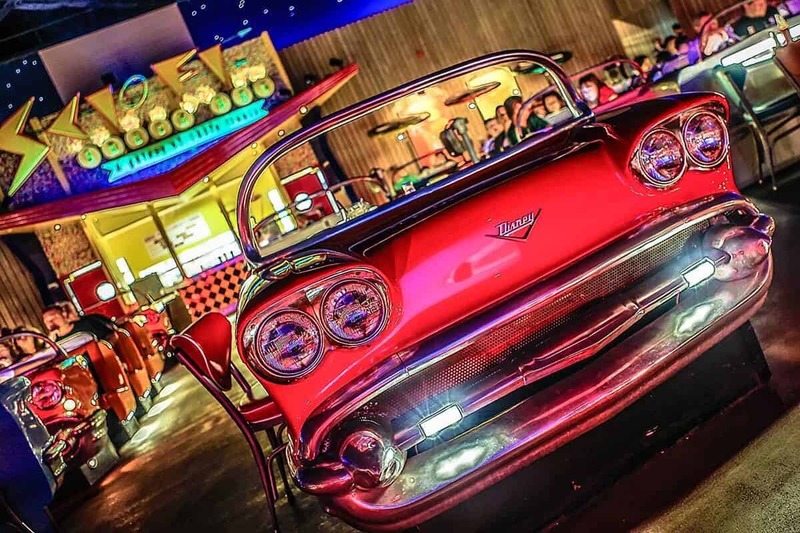 The theming at the Sci-Fi Dine-In Theater at Hollywood Studios is fantastic – where else can you eat in vintage cars under the stars? But repeatedly, we’ve arrived at this restaurant significantly early for our reservation, and not only have we not been seated before our reservation (something that is possible with most other Disney restaurants) – we’ve actually had to wait until long after our reservation time to be seated. There’s also very little room to wait inside the restaurant, so usually we end up standing outside or perched on the cement wall beside the entrance. It might be worth the trouble if the food was excellent, but we’ve only ever found it adequate.